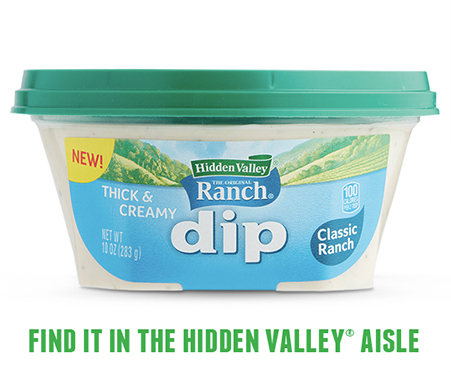 Hey ranch lovers, you’re in for a treat. 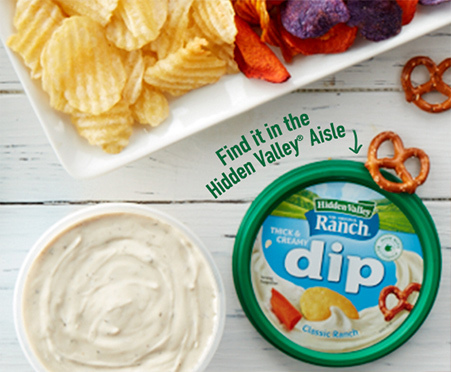 This ready-to-eat dip is thick, creamy and oh so delicious, perfect for sharing or solo dipping. 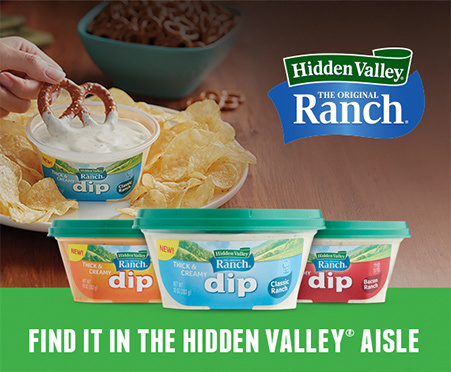 Plus, it comes in three fantastic flavors: Classic Ranch, Bacon Ranch and Buffalo Ranch. Get dipping today! 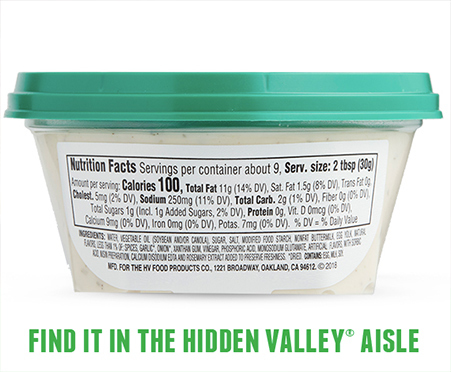 10-oz tub of Thick and Creamy Hidden Valley Ranch Dip. Convenient... just open & enjoy!